Peninsula Dental Social Enterprise (PDSE) has joined forces with charity the Plymouth Highbury Trust to develop an innovative dental ambassador scheme which will see a group of those using the charity trained to support their peers with good oral health practices and awareness. It is the first time that such a dental initiative – where those with learning disabilities will assist their peers – has been introduced in the UK. 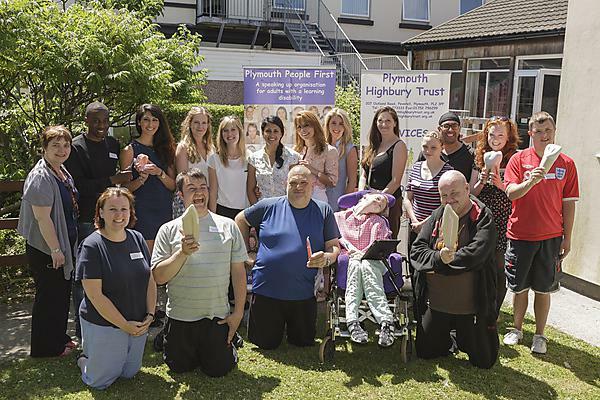 The Plymouth Highbury Trust supports adults with a learning disability across the city. Part of its work includes a self-advocacy organisation called Plymouth People First which runs speaking-up groups across the city and which has over 120 members. The charity works closely with PDSE, not least with the involvement of dental students from Plymouth University Peninsula Schools of Medicine and Dentistry as part of their training. The dental ambassador training programme will see 10 to 12 Plymouth Highbury Trust clients equipped with the knowledge and skills to reinforce key oral health messages with a focus on brushing, diet and access to dental care. The aim is to build confidence and understanding so that the ambassadors become effective support for their peers. The training programme last six weeks and will use fun and engaging methods. One week will include visits to the Devonport Dental Education Facility, managed by PDSE and where dental students treat NHS patients under the supervision of qualified dental professionals. These visits are designed to break down barriers and common misconceptions about visiting a dentist. At the end of the training programme the dental ambassadors will give a presentation to an invited audience of Plymouth Highbury Trust supporters, and go on to use their new skills to encourage good oral health among others who use the charity’s services.